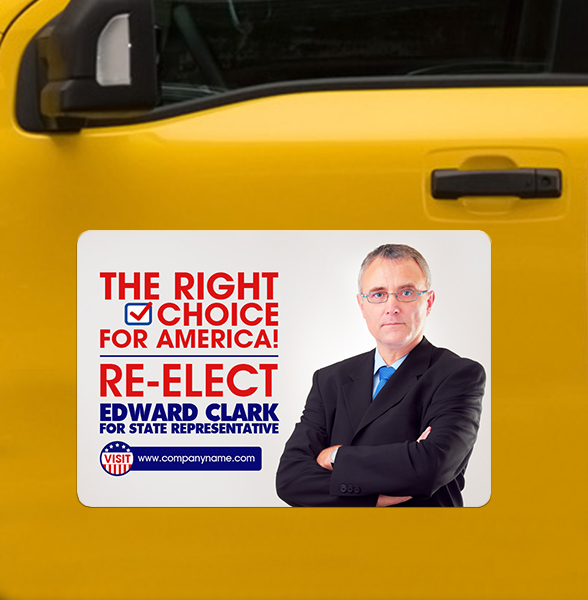 These high quality custom 12x18 election car bumper truck signs round corners – 30 MIL look big against most vehicles and are perfect raise awareness about the campaign. The UV resistant, full color imprint on these truck signs colors don’t fade easily and remain shining bright until the election heat remains and later, too. This election car bumper truck sign is perfect choice for building impressions and getting closer to the targeted voter base. Campaigners can employ these magnets for value building in all seasons because this magnet is weather resistant. 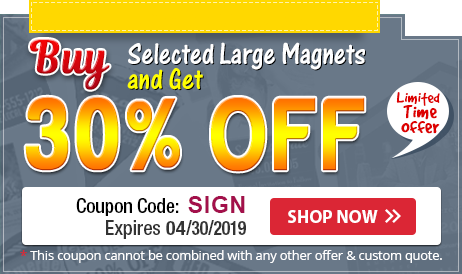 Request a quote to know discounts that we may offer you on bulk ordering these promotional 12x18 election car bumper truck signs round corners – 30 MIL.